Oral health has become more widely known and the importance of bringing your child to the dentist from a young age is to the advantage of the child. Early intervention can make the world of difference for children, sometimes even avoiding braces in some cases. While the child is still young the jaw bone is softer and easier to rectify because it is pliable. Decay can be picked up early to avoid other more traumatic situations, which could result in root canal treatments and even extractions. Endodontics: Direct pulp capping, incomplete endodontic therapy (tooth not suitable for further treatment), pulpotomy, preparation and sealing of root canals, emergency treatment of root canal, root canal treatment of primary (baby) tooth, and interim therapeutic root filling. Restorative Services: Metallic, adhesive (tooth coloured) fillings of various sizes, temporary filling, metal band, pins, metallic crown – preformed, bonding of tooth fragment, & post – direct. Prosthodontics: Either a partial upper or lower removable acrylic denture; up to four teeth, adjustment of existing denture, repairs and their impressions, and adding tooth to a denture to replace an extracted tooth. As with most things in life there are terms and conditions (T’s and C’s) that apply. We will look at that next week. The scheme aims to be preventive, and limited to the treatments amount of conditions that are common in children 2-17 years. 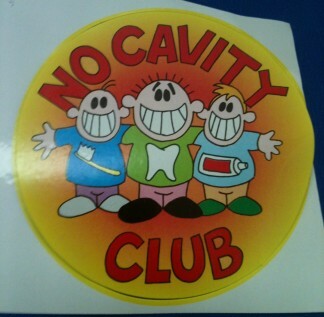 Importantly it is a means of screening, maintenance, and raising awareness of dental issues to both children and parents. Pain is too late! By starting at an early age, good habits can result in a lifetime of good munching!! !